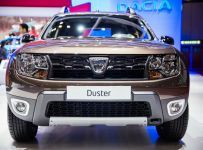 Three years and for months ago Dacia introduced the first LPG version from its range. 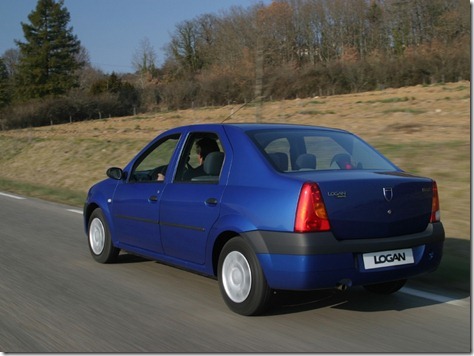 At that time, the Pitesti car manufacturer offered a LPG engine for the Logan Sedan. 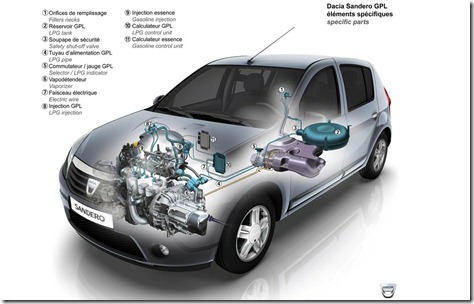 A month later, Dacia offered a LPG version for the Logan MCV, and in 2009 for the Sandero. Landi Renzo is the LPG supplier for Dacia and is already implanted in the Mioveni industrial platform. The LPG installations used for the Dacia cars are calibrated and sized from the factory for perfect integration on the models that are fitted. The CO2 emissions are reduced considerably, and all the Dacia LPG models have the Eco2 signature, which means that the CO2 emissions are less that 140 grams per kilometer, are produced in an ISO 14001 certified factory and that 95% the mass of the vehicle can be recovered by recycling and at least 5% of the plastic used is recycled. The 100.000 LPG Dacia unit is a Sandero with Navy Bleu color. The model is equipped with a 1.4 liter engine and 75 HP and will be delivered in Italy. The LPG petrol engines are particularly popular in Italy, but also in France and Germany . 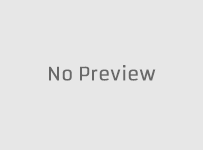 In recent years, the cheap price of the liquefied petroleum gas have made this opportunity to become increasingly popular in all European countries.